The Internet is a sharing economy of information and ideas. In today’s digital age, how do we protect intellectual property without stifling innovation? Noncompete agreements are limited in California, Colorado and Oklahoma, but many tech companies around the U.S. rely on them as a method of protecting intellectual assets and business interests. 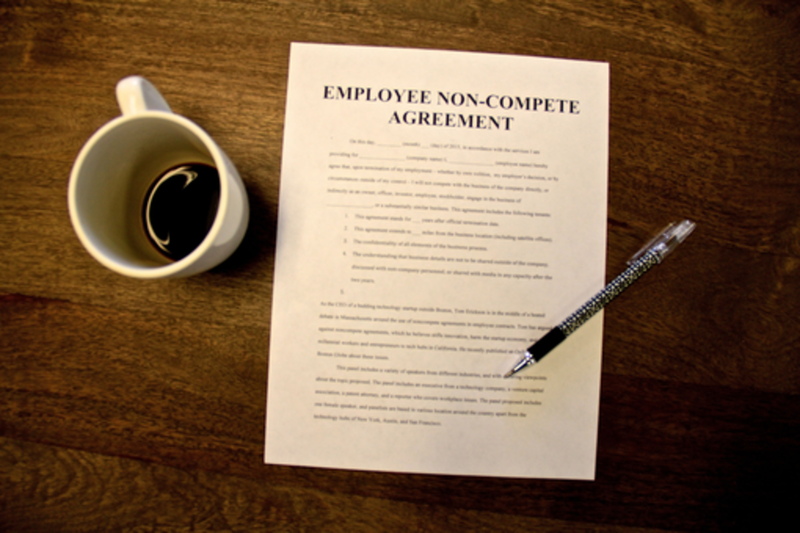 In the fast-paced startup world, are these agreements still relevant? Many argue to move the tech industry forward, we must promote unbridled entrepreneurship - a notion that conflicts with boundaries in a noncompete, which prevent employees from spinning ideas into new companies. The conversation extends beyond tech; life sciences, engineering, and nonprofits struggle to toe the line of protection and innovation. This panel will bring together a diverse group of experts to discuss economic and business impacts of noncompetes and intellectual property laws, and how companies should look to protect great ideas in a world of rapid innovation. C.A. Webb is the Executive Director of the New England Venture Capital Association. She has spent her career in entrepreneurial roles with mission driven, early stage and high growth organizations. Her career has focused on breakthrough business models in a diverse array of industries including retail and packaged goods (Whole Foods Market), consumer internet technology (Care.com), sustainability (Preserve Products), historic preservation (Trinity Boston Foundation), public education (Boston Collegiate Charter School), and publishing (Fast Company magazine). She earned her undergraduate degree at Wellesley College and MBA at Simmons School of Management. Mike McGurk is a managing partner of Finnegan’s Boston, MA office. He has over 25 years of experience in IP matters involving all aspects of patent law, primarily in pharmaceutical, chemical, medical device, and mechanical technologies, including robotics. Mr. McGurk works with a range of clients including small startups and large Fortune 100 companies. He was recognized as a leader in the field of intellectual property law by Chambers USA, 2013-2014. Ravi co-heads NEA’s Technology Venture Growth Equity investment practice. Prior to NEA, Ravi worked at Goldman, Sachs & Co. as co-head of the technology practice in their private equity group. Ravi has also worked for McKinsey & Company and Raychem Corporation focusing on R&D in various materials systems. Ravi received an MBA from Wharton and a PhD in Chemical Engineering from UCSB where he focused his search on materials science applications. Ravi also earned a BS in Bioengineering from the University of Pennsylvania. He currently serves on the Wharton Entrepreneurship Advisory Board. Tom is a founding director of Acquia, working with co-founders Dries Buytaert and Jay Batson to develop the company’s open source commercialization model and recruit the early team members. Tom joined Acquia as CEO in 2009, following the sale of Tele Atlas to TomTom, where he had been Chief Products Officer. As he has done throughout a 30+ year-career in enterprise software, Tom is focused on driving customer success and business strategy at Acquia, Tom also leads the unique blending of open source, digital agency and enterprise software backgrounds, fostering a culture which he perpetuates through extensive travel to the 11 countries and 3 US offices from which Acquia currently operates.